Located about 200 kilometers from the capital of the country, Santiago de Querétaro is the capital of the Mexican state of the same name. With its strong economic growth, strategic geographical location, and the beauty of its Baroque style religious buildings and perfectly preserved monuments, the city has earned the recognition as one of the best places to live in and to do business. 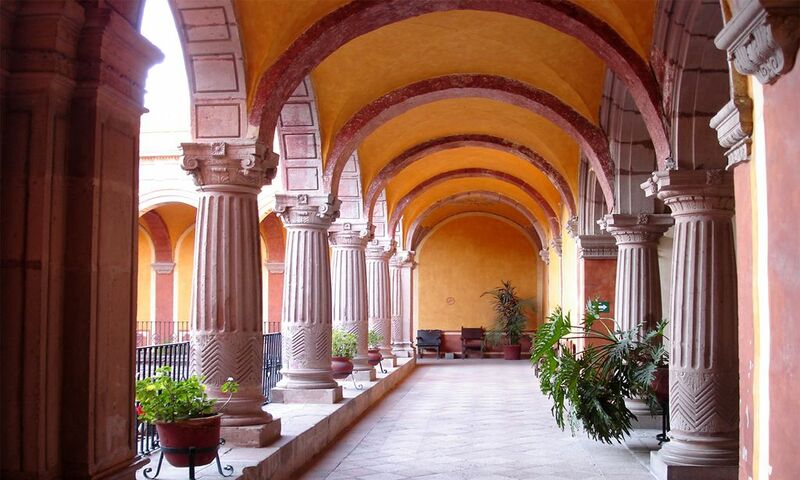 In 1996, the Historical Center-Monument Area of Querétaro was declared a World Heritage Site by UNESCO. Santiago de Querétaro is the largest city in the Bajio region. Considered one of the cleanest cities in the world and with a high quality of life, it is also distinguished as being a pioneering city. The bicycle sharing system was implemented as a means of providing sustainable transportation which earned the municipality the title of City of the Future by a famous British newspaper. It is said that Querétaro is a historic city par excellence and it’s no wonder. Here arose the first instance of the idea of a free nation, the conspiracy against colonial rule personified in the heroin Josefa Ortiz de Domínguez, and then the momentum of the struggle for independence of Mexico. It is also in this city where you would have heard the National Anthem at the old Iturbide Theatre for the first time. 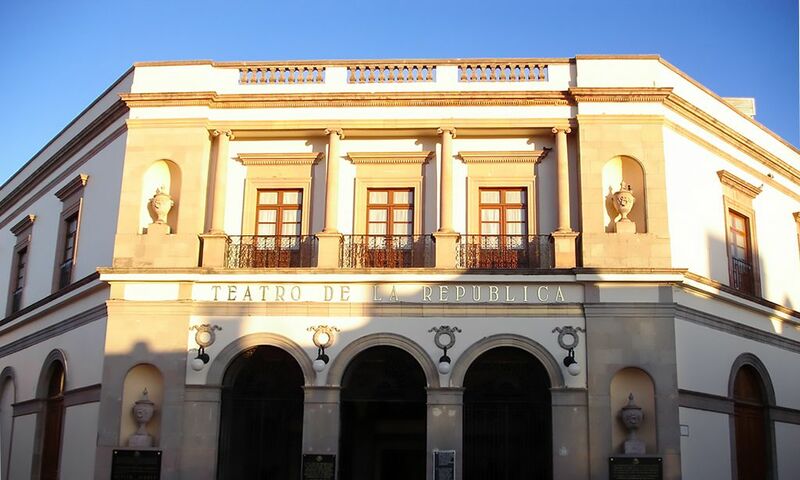 Known today as the Teatro de Repúblic it is a place that also served as the venue for the congress to create the 1917 Constitution and as the scene where the famous Angela Peralta sang "El Ruiseñor Mexicano" The Mexican Nightingale. The city of Querétaro has prestigious residential neighborhoods, some with golf courses, and also traditional and business hotels, typical and international restaurants, a water park, an Olympic size pool, a racetrack, museums, historic sites, parks, art galleries, craft markets, and shopping centers. The city is also noted for its great bullfighting tradition. It has two bullrings, the Santa Maria Bullring and Juriquilla Province Bullring. In pre-Hispanic times, Querétaro was inhabited by the Mexicas and Chichimecas and being at the time a colonial city relevant to the Viceroyalty and due to its proximity to Mexico City, the city was a place where the mixing of cultures resulted in fusing customs, rituals, and Spanish food with native ones, creating some of the culinary delights of this destination such as gorditas, barbecue lamb, the traditional drink of atole with sunflower seeds, ant eggs with olive oil, chicken with mole, corn bread, cheese, and enchiladas. Querétaro is located in the Mexican Bajio region in central Mexico. Different highways connect the city to the rest of Mexico : Carretera Federal No.57 Querétaro - Mexico City. Carretera No. 55 Queretaro - Toluca. Carretera Federal No. 45 Queretaro - Guanajuato, Guadalajara. Carretera No. 120 Queretaro - Xilitla. Carretera No. 69 Querétaro - Rio Verde. Moreover there is the Querétaro International Airport which receives flights from the interior of Mexico and some foreign cities. The city also has a bus station which receives buses from different cities in Mexico. San Miguel de Allende, Guanajuato: 65 km. León de los Aldama, Guanajuato: 178 km. Mexico City, Federal District: 219 km. Heroica Puebla de Zaragoza, Puebla: 332 km. Monterrey, Nuevo Leon 703 km. The climate of Santiago de Querétaro is hot and dry for most of the year. The average annual temperature is 18 º C.
The annual minimum daily temperature is 11.5 º C and the annual maximum daily temperature is 26.4 ° C.
The rainy season is during the summer and the rains are usually very strong but brief. In the summer it is recommended to pack comfortable clothing, sunscreen, a hat, sneakers, and a light sweater. In the winter bring a jacket, boots, gloves, and a hat. 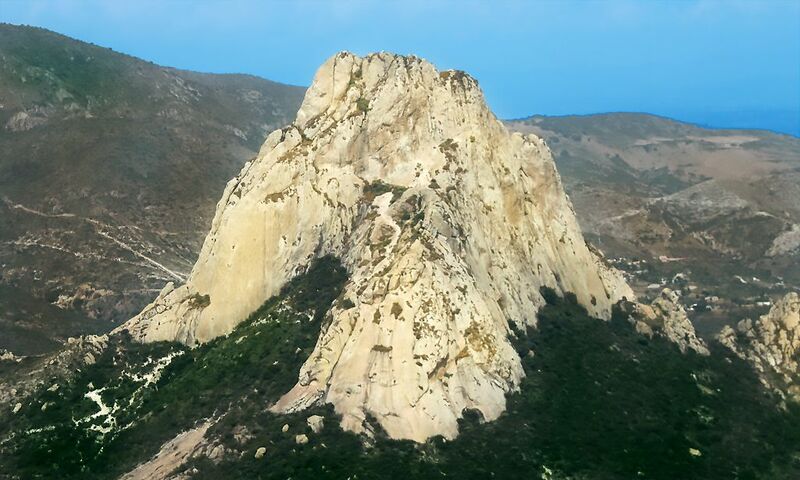 Cerro de las Campanas (Bells Hill), Queretaro Aqueduct, Sangremal Hill, Cementary of Illustrious Queretaro. Zacatecana House Museum, Art Museum, City Museum, Museum of the Magic of the Past (on the top of the hill "Cerro de las Campanas"), Restoration Museum, National Museum of Graphic Arts, Regional Museum. Church and former Convent of San Agustin, San Felipe Neri Church, Santa Clara Church, Santa Rosa de Viterbo Church, Church of the Holy Cross, Church and former Convent of San Francisco. Corregidora House (Josefa Ortiz de Domínguez), Corregimiento House. Plaza Constitución, Plaza de Armas, Alameda Hidalgo, Guerrero Garden, Obregon Garden or Zenea, Mansions in the Historical Center, squares and parks in the historic center, House of Culture, Faldón House Cultural Center, Manuel Gomez Morin Cultural Center, art galleries. Querétaro Bicentennial Park, Querétaro 2000 Park, Wameru Querétaro Zoo, Cimacuatico World Park, Tequisquiapan Deer Hunting Park. Golf courses, Spas, Conference Center, Teatro de la República, Auditorio Josefa Ortiz de Domínguez. March: Easter Holy Week and the Procession of Silence. July: Queretana Traditional Horseback Procession. July 25: Feast of the Founding. September: Feast of the Cross. September 15 and 16: Celebration of Mexican Independence. October: Wine & Cheese Expo. December: International Festival of Querétaro. December 12: Feast of the Virgin of Guadalupe.